What does ‘correct’ mean in pronunciation teaching? Being interviewed by Dirk Lagerwaard for his NovELTies vlog : NovELTies EP25: Mark Hancock – Teaching Pronunciation. Among the topics up for discussion is the idea of ‘correctness’ in the context of pronunciation. I suggest that mostly, there’s no such thing as ‘correct’. When people say things like ‘No, it’s not pronounced like that’, they are using a sneaky passive. Not pronounced BY WHO? By what right do these ghostly referees define what is correct and what is not? I suggest that ‘pronunciation is not just for show; it does the work of communicating’. From that perspective, ‘correct’ can be replaced by ‘effective’ as the main objective in pronunciation teaching and learning. mispronunciations can be considered as errors – for example, pronouncing ‘pear’ as a homophone of ‘peer’. But then again, if enough people started pronouncing it that way, it would no longer be incorrect! 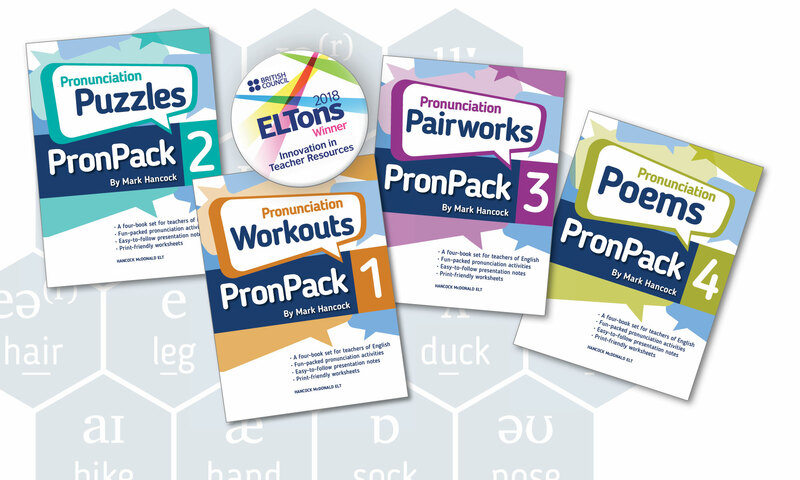 Previous PostPrevious PronPack Shortlisted for ELTons! Next PostNext PronPack at IATEFL Brighton!